Tampa Bay roads are getting busier! The average commute time has increased 2 and a half minutes over the past 5 years, which means 10 more hours a year commuting. 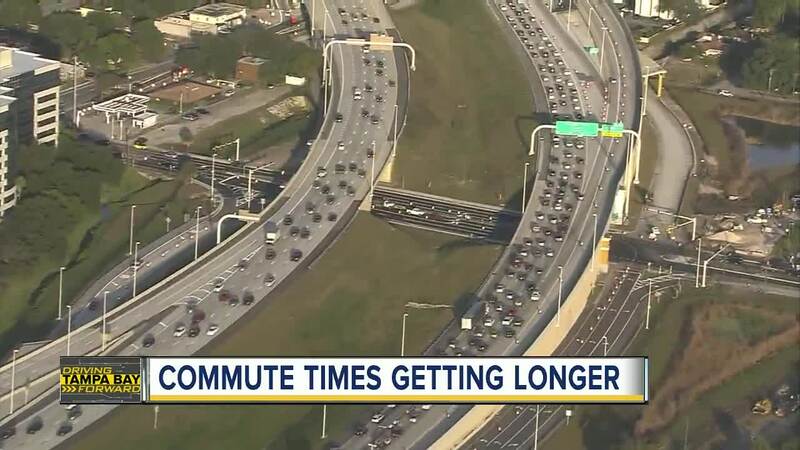 Tampa Bay roads are getting busier! Every day, nearly 150 people are moving to Tampa Bay, according to the US Census Bureau. That means you're spending more time behind the wheel. The average commute time has increased 2 and a half minutes over the past 5 years, which means 10 more hours a year commuting. Jesse Beachem has noticed his commute time increasing from Gulfport to South Tampa. “When I first moved here it was smooth, no problems and no issues. Now, its kind of crazy and out of control!” he exclaimed. Over 17 years, he has seen Tampa Bay’s population explode. “Traffic is everywhere,” he said with a laugh. Tampa Bay is now the third most popular place to move in the US! That means big business for U-Haul General Manager Rico Flourney. “All day. All day! It’s non-stop as far as trucks and trailers going out,” Flourney said. Construction crews are also working to keep up with adding capacity on Tampa Bay roadways. This year, drivers in Brandon and East Hillsborough will get an extra lane in each direction on a busy one mile stretch of state road 60. In Pasco County, crews are working to make a 1.5 mile stretch of State Road 52 wider. Soon, US-19 in North Pinellas and Gandy Boulevard in South Tampa will have flyovers to help speed up your commute. 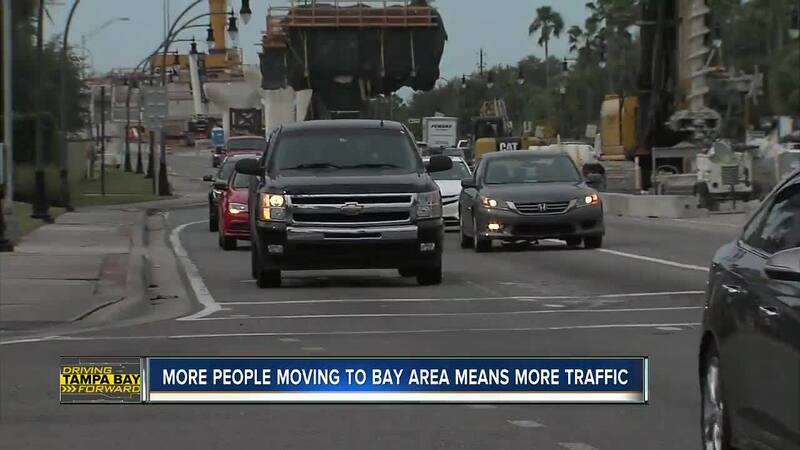 Transportation experts on both sides of the bay tell ABC Action News they’re working to speed up construction projects...as more people discover our slice of paradise. “There’s not a better city out there and I’ve lived all over the country,” said South Tampa Resident Chad Watters with a smile. Traffic experts say you might want to tweak your commute time in the new year…if you can avoid the rush from 7:30 a.m. and 8 a.m. and 5 p.m. and 5:30 p.m…you can shave off a lot of time spent behind the wheel.